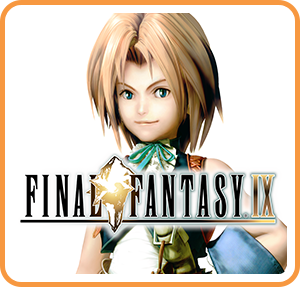 Final Fantasy IX became the first numbered Final Fantasy to return to Nintendo in decades upon its launch in February. The game was touched up and modernized in many ways, and holds up pretty well to be nearly 20 years old. It is by no means a flawless port, but I still had a blast with it. In case you missed it, you can read my review here. The port includes some very handy menu options that helps to customize your experience. One such option is the ability to deal 9,999 damage per attack once activated, and exploiting this can allow the player to defeat some very powerful enemies early in the game that would typically never be possible to defeat. However, there are purists out there that would scoff at breaking the system in this manner. There are also those that like the idea of cutting corners but would rather do it in a way that doesn’t involve any assistance. This is where I’m here to help! Going forward in this guide, I’ll teach you a way to gain levels and power at a very early stage of the game WITHOUT ACTIVATING THE CHEAT! Read on and I’ll have your party of Zidane, Quina, Freya and ViVi an unstoppable force within the first 2 hours of the game. STEP 1. Let Freya win the Hunting Festival in Lindblum in order to win the Coral Ring, and then equip it to the party member of your choice. STEP 2. After finishing the events in Lindblum, you’ll find yourself back in the World Map trying to reach Burmecia via Gizamaluke’s Grotto. Before venturing any farther, you’ll want to make a pit stop to Qu’s Marsh. This is where you’ll find Quina, who is the biggest key to pulling off this trick. 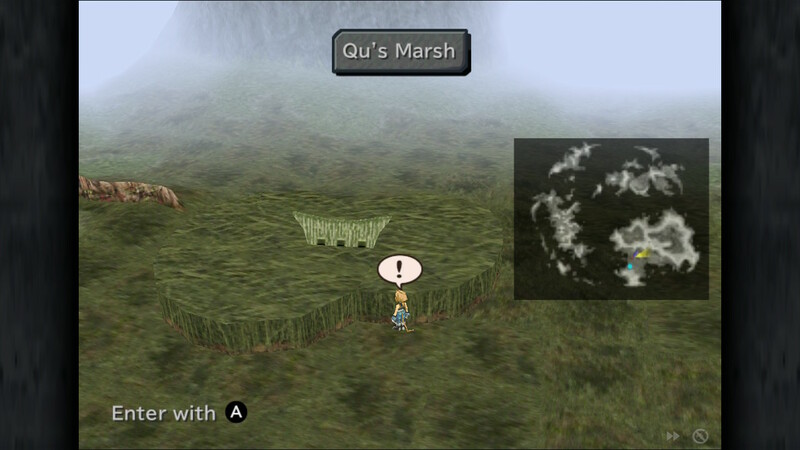 The Marsh is just north of Lindblum – enter there and find Quina. Catch her/him a frog, and he/she will join your party. STEP 3. 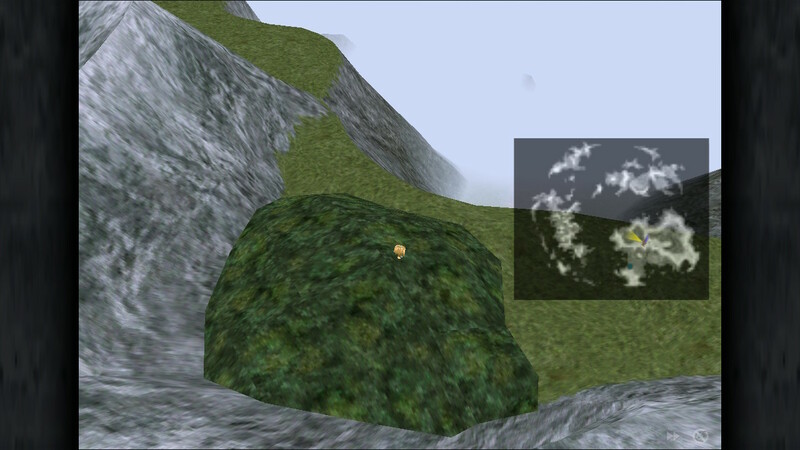 Head due east from the Marsh and cross a small bridge to find a small patch of forest – this is Chocobo’s Forest. Go ahead and enter to learn how to call Choco to you. 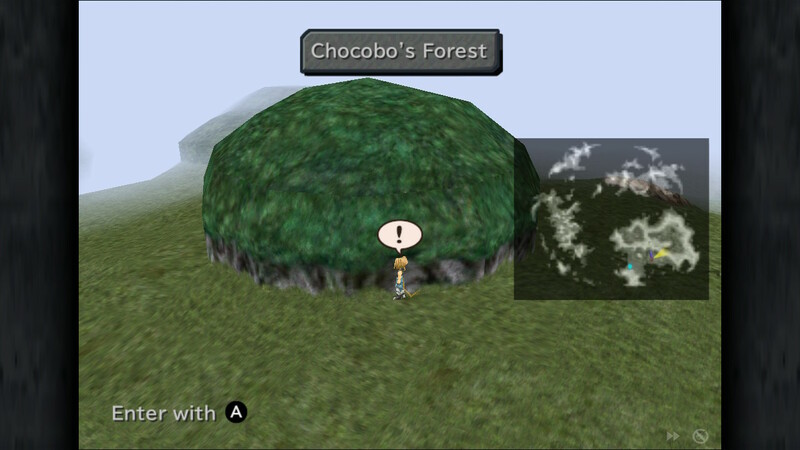 Just past Chocobo’s Forest, you’ll find another forest area in which you can fight small green creatures called Mandragoras. The goal here is to use Quina’s ability to eat enemies in order to learn “blue magic” spells, and you’ll have to weaken a Mandragora to 1/8 of its health or less to eat it. Alternatively, you can wait until Quina reaches Trance state and use the “Devour” ability. Doing this only requires you to weaken the Mandragora to 1/4 of its HP. If you manage to eat the monster, Quina will learn the incredible Limit Glove ability. This ability allows Quina to deal the maximum 9,999 damage WITHOUT CHEATING! The catch? Quina must ONLY HAVE 1 HP left to be able to perform it. SwitchRPG STILL has you covered, fam! Read on. STEP 4. Continue on with the story as normal by proceeding to Gizamaluke’s Grotto and battling through the dungeon until you save a cute Moogle couple. The newlywed Moogles will retreat to a small room with a save point. Take note of the vines leading up the wall in this room. SAVE YOUR GAME! This is the tricky part. Go back into the dungeon and initiate a battle. Take it upon yourself to use a party member to attack and kill Quina. Here you are presented with 2 options. You can use a Phoenix Down to resurrect Quina and you’ll have a chance of he/she being left with 1HP. If so, quickly finish the opponent and hurry back to the save point and immediately save. If you’re having trouble resurrecting Quina with 1 HP using the Phoenix Down, try using the Phoenix Pinion if you have found one. This will GREATLY increase your chances of leaving Quina with 1 HP. Remember to return to the room with the moogles and SAVE! STEP 5. Money time. 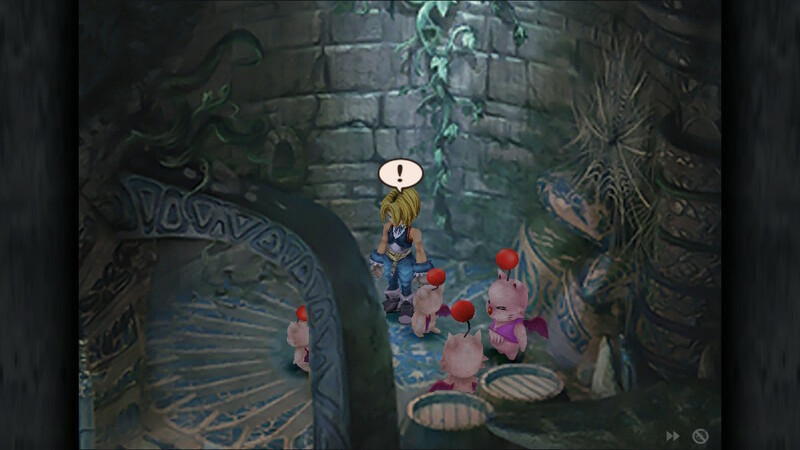 Once you have Quina down to 1 HP and have saved, it’s time to ignore the warnings of the Moogle and climb the vines. You’ll exit out into the dreaded Popos Heights: home of the Grand Dragon! Make sure you have the Coral Ring equipped because the Grand Dragon casts a very powerful Thundaga spell that will wipe out any party member without it. 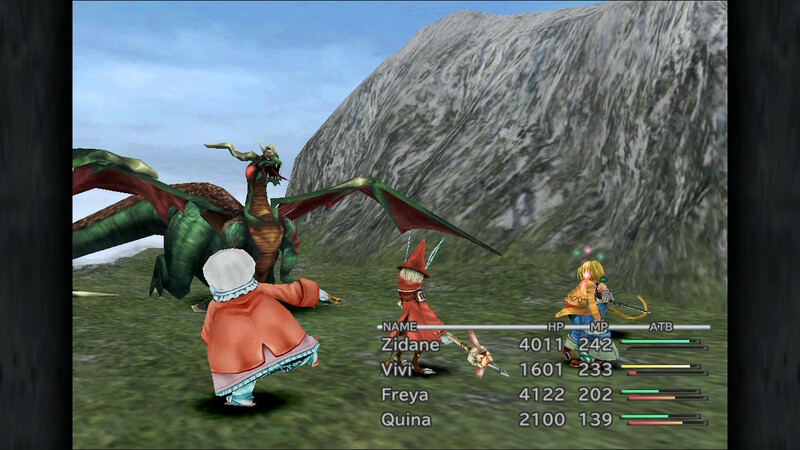 Once you encounter the Dragon, have Quina use Limit Glove to deal 9,999 damage. Have everyone else focus on healing and reviving. If Quina is killed, simply reload from the last save point and start again. Quina should still have 1HP. It will require two Limit Glove attacks to fell the Dragon but doing so will likely double your levels immediately. You’ll also be rewarded with a whopping 3 AP for defeating each Grand Dragon. I recommend climbing down the vines and saving again every time you defeat a dragon. Do this for an hour or so and your party will have the final boss trembling in fear before you even reach disk 2! Quick, easy and cheat free! Go out there and dominate the land of Gaia, friends! Thanks for visiting SwitchRPG! Is this new to the Switch port or has it been present in FF9 always? Pretty sure this works in all versions.